Tech giant Google has quietly launched its new hyper-local services app Areo in India, without releasing any official statement. 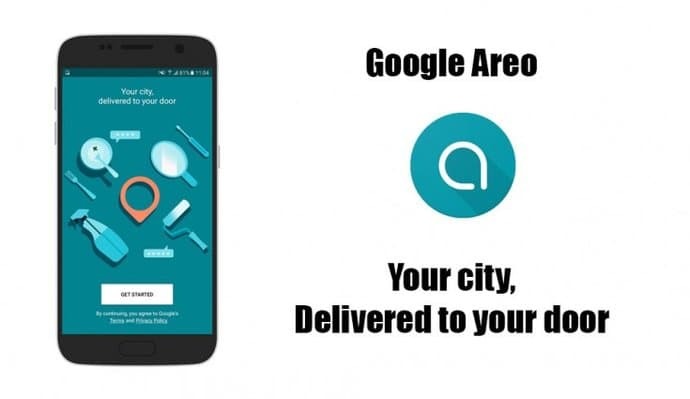 The new app Areo will serve as a single step destination for food delivery and various home services and is already in action at the two Indian cities, Mumbai and Bangalore. 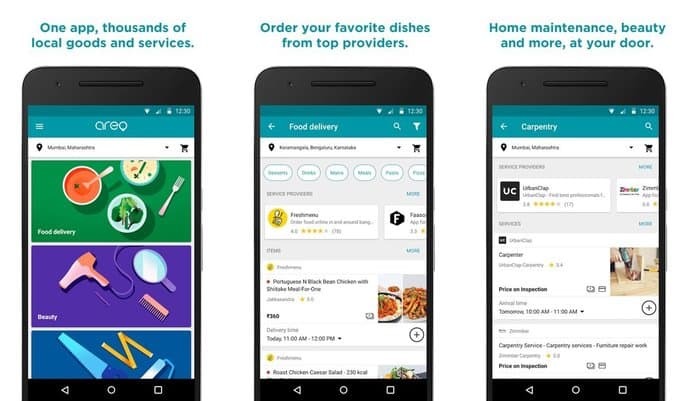 The Google Areo app tries to solve the annoying daily life issues like ordering food via different apps, calling a plumber, an electrician or a beautician by providing a single platform. It basically aggregates different service providers from nearby locality under one roof eliminating the need for downloading a number of separate apps to avail the services. For example, one can book food delivery from providers like Freshmenu, Faasos, Box8 etc and also book an electrician, a plumber, painter, a beautician or a cleaner to help with whatever he/she needs in their home. Users after adding the services can check out and pay via credit/debit card, net banking or even choose to pay cash on delivery. Apart from that, the Areo app will also enable its users to take well-informed decisions while choosing the services by reading reviews posted by others to get a better idea of the quality of service delivered by a particular service provider. To use the new Google Areo app, download and install it from the Google Play store onto your phone which is a fairly lightweight package at only 6.95MB. You'll be greeted with a map view which will ask for the location confirmation and after that, the following screens will display various services you can avail via the Google Areo app. Tap on the different categories and depending on your requirements you can add items from multiple providers into the same cart and checkout. There are standard payment options of credit or debit cards, net banking and cash on delivery after which each service will undergo delivery as usual.